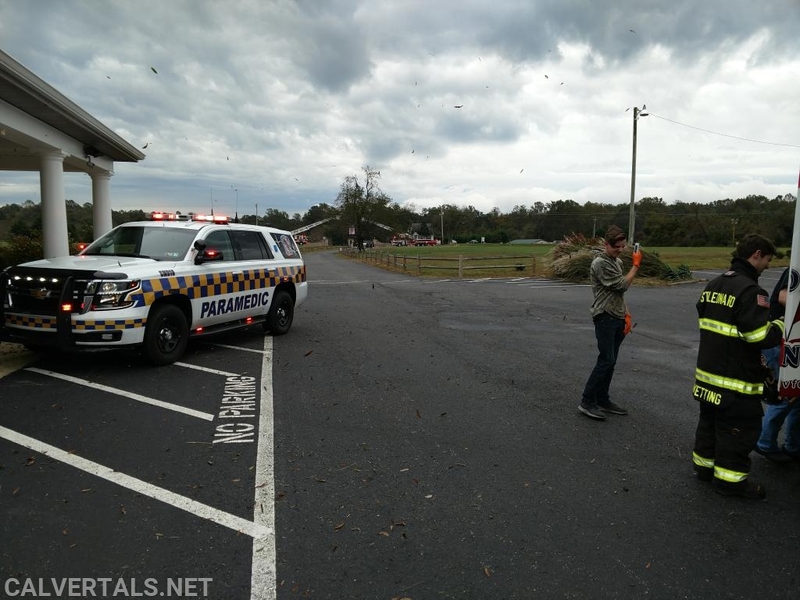 On Saturday morning at approximately 0830 Calvert Control received a 911 call for a subject with his fingers amputated from a log splitter. 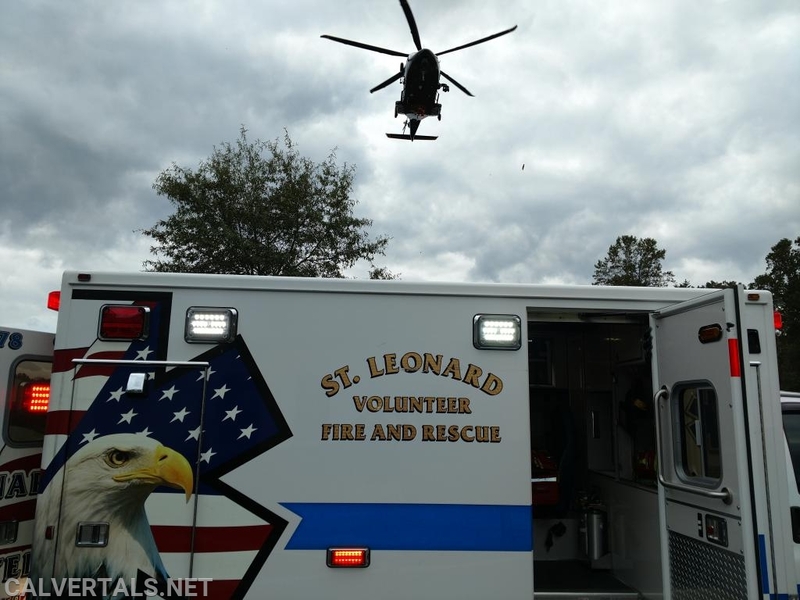 St.Leonard vfd quickly responded and packaged the patient. The crew from A78 quickly performed a dual consult with Union Memorial Hand Center in Baltimore who accepted the patient. 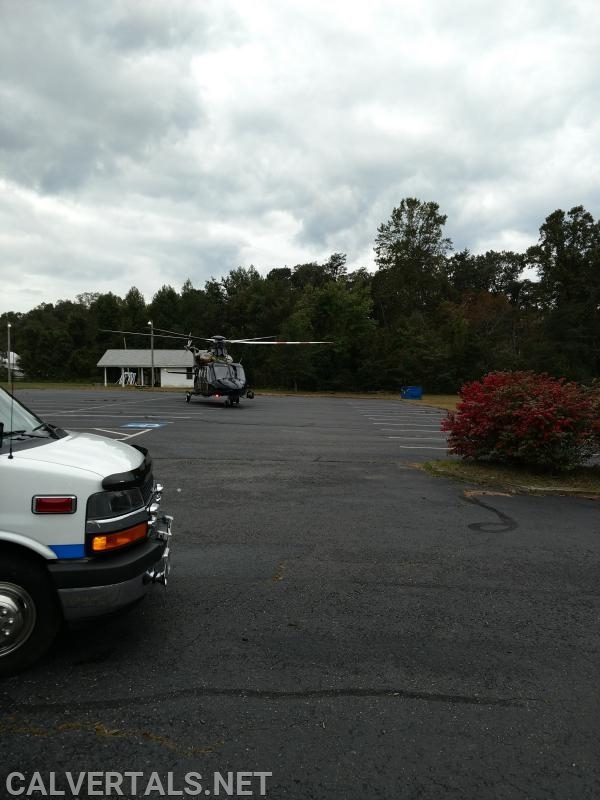 Chief 10 met the ambulance at the LZ and administered pain medication and repacked the wound. MSP trooper 2 handled the flight to Union. MSP Trooper 2 at the LZ just after patient was loaded. CHF10 on scene at the LZ in St.Leonard. Flyout for a subject with amputated fingers.